A man in his 20s, has died following a one vehicle road traffic collision on the Comber Road, Ballygowan on Monday evening. Inspector David McClements said on March 16 at 10.10pm a blue Renault Megane was involved in a collision when it was travelling from Ballygowan to Comber. The man who is from the Newtownards area died as a result of his injuries. 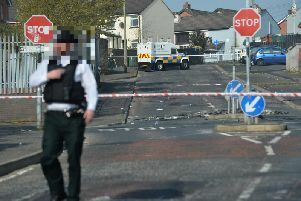 “I would ask anyone who was in the area at the time or who saw the blue Renault Megane to contact the Collision Investigation Unit at Steeple Police Station in Antrim, or Newtownards Police Station, on the non emergency number 101,” he said. The Comber Road, Ballygowan, was closed to traffic but reopened at 3.40am today.